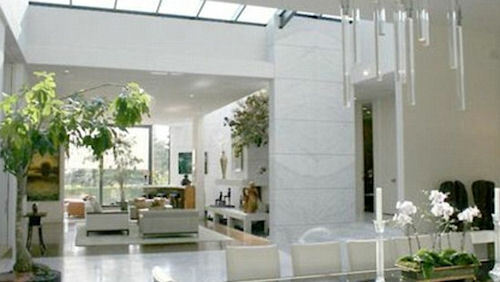 With celebrity, it seems, comes a particular interest for property. Due to their inflated pay checks, many of these millionaire movie stars, musicians and models are able to afford the some of the most amazing mansions the world has ever seen. Los Angeles is one of the most popular places for property purchases among celebrities, including actress Jennifer Aniston. In 2011 Aniston sold her former home, an estate in Trousdale, Beverly Hills for a whopping $35 million. 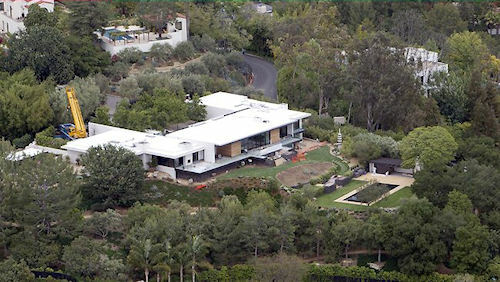 Last year Aniston spent $21 million on an estate in the Bel Air, west of Los Angeles. The house was reportedly originally designed by A Quincy Jones, one of the most recognised American architects of the 1960s. Before moving into her new Bel Air home, she spent $40,000 a month renting out another Trousdale Estate while the renovations on her latest property were being carried out. Another celebrity to take a liking to the Trousdale neighbourhood is actress and hit television host Ellen Degeneres. She recently purchased a $17.4 million estate with her wife Portia de Rossi, after they sold their previous home in Beverly Hills to American Idol host Ryan Seacrest for $37 million. Leonardo DiCaprio is no stranger to the Trousdale estates either – he has owned at least one property in the area from the time that he starred in Titanic (1997). The Great Gatsby star also owns a penthouse apartment in New York, located in Manhattan’s Battery Park, as well as two homes in Malibu. At only 23 years old, Taylor Swift certainly has an impressive property portfolio. 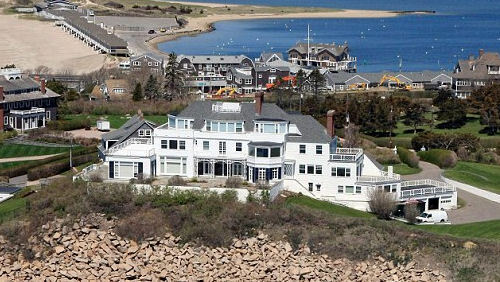 Already the owner of a $4 million Beverly Hills house and a Nashville penthouse condo, it was reported that last April the country singer spent approximately $17 million on a mansion in Rhode Island known as “High Watch”. The seven bedroom home is said to be located on a 5 acre property with 700 feet of beach frontage, and includes 11,000 square feet of living space. It has been reported that Madonna has been making some cuts to her property portfolio this year. Last November she listed her New York apartment in Manhattan’s Harperley Hall for $23.5 million, which eventually sold last month for a reduced price of $16 million. She also plans to sell her Beverly Hills estate for $22.5 million, and is now living in her $32.5 Georgian-style townhouse on Manhattan’s Upper East Side.